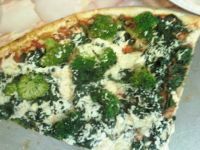 Let us know what you think about this awesome vegan friendly restaurant: Pizza Aroma in Ithaca, New York. OMG! This looks awesome :) Thank you for sharing! 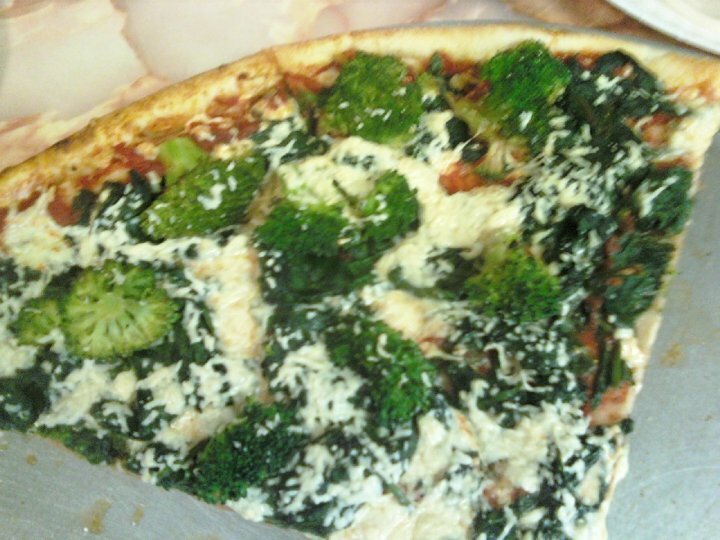 This is a photo of Pizza Aroma’s delicious spinach and brocolli Daiya cheese pizza. 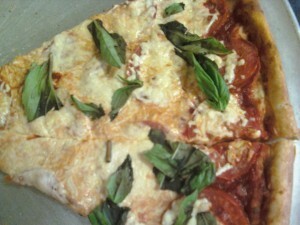 This is a photo of Pizza Aroma’s delicious fresh basil and tomato Daiya cheese pizza. This vegan pizza sounds awesome!!! Thanks so much for sharing! Do you happen to have any photos of their pizza? If so, we’ll be glad to post them!